Foreclosure is a court action taken by the mortgagee or the lender asking the court to cancel the equity of redemption to the mortgagor. The second and third mortgages should have a clause saying that if first is in default, the others are automatically in default too and they can take action against the borrower or the mortgagor. Redemption is the right of the mortgagor to have clear title to the property after paying the loan fully. Redemption period is usually provided to pay off interest, fees and back payments. There are basically two types of foreclosures. The first one is called Judicial. In this type of foreclosure, the mortgagee petitions the courts and begins a lawsuit against responsible parties. The second type is Non-judicial. With this, the power of sale has the processes covered in the mortgage documents. Lenders have the right to sell the property. On the power of sale process, happens quickly. It is either statutory or contractual. To start off the process initially, a notice of sale under mortgage will be sent and it will start in 15 days of default. For the contractual, the redemption period is 35 days to pay while on the statutory, the redemption period is 45 days to pay. At the end of the redemption period, if the mortgagor fails to pay in full, the mortgagee can sell the property. This can be done either in private, auction or tender. It is usually sold through realtor on MLS. After the property is sold, in case there is any surplus, it will be used to cover the costs of the sale, mortgage principle, interests and costs incurred, tenant security deposits and subsequent encumbrances. 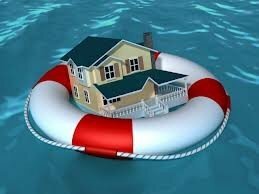 Any borrower does not want to go through the foreclosure process. This is why it is important to make sure you are financially capable to pay your obligations to the lender and obtain ownership to the property once paid in full. Get Pre Foreclosures ! Be Street Smart! Be Ahead of the Competition! Imagine having access to a list of reputable pre foreclosed properties before it’s released in the market. What would it do for your real estate investment – to have the front seat in choosing properties before the crowd gets there?.